The story begins with Mexican who has been shot and brought into the hospital. A writer, Mr. Frazer is curious about the event and so asks about the show. The Mexican, Cayetano is keeping quiet about who shot him and offers conflicting information about how it all happened. People in the hospital speculate about how it happened and what it had to do with. Mr. Frazer doesn't see Cayetano for a while after that but gets updates from a nun, Sister Cecilia. He passes his days enjoying the radio. Sister Cecilia spends much of her days praying for a great variety of things from recovering patients to sports. Three Mexicans are brought into the hospital to play music for the Mexican, which he comes to enjoy. They eventually find out that the Mexican's shooting had something to do with his gambling, a passion of his. The story ends with a recognition that every person needs some type of opium in the characters in this story each had their own form to appreciate. There are some stories I really like by Hemingway (though not many) but most I am less than impressed (given how much he was touted growing up). I found this to be within that realm of interesting point but the execution felt less impressive or moving. 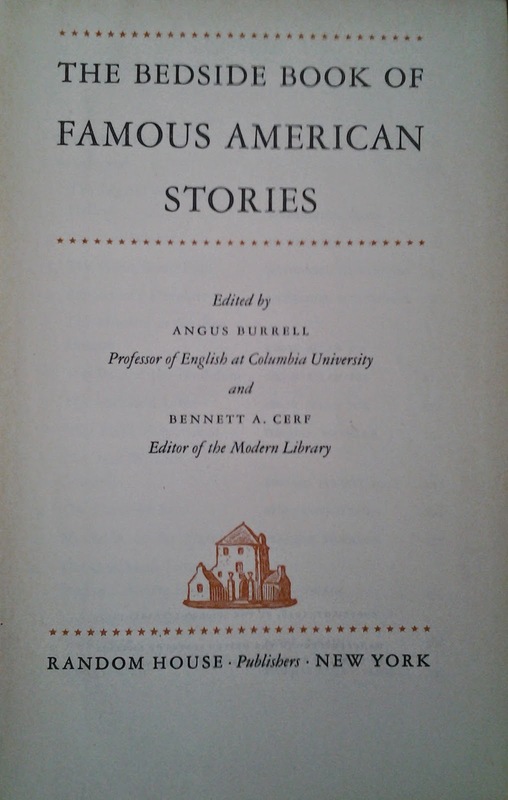 Source: The Bedside Book of Famous American Short Stories edited by Angus Burrell and Bennett A. Cerf. Random House, 1936. The story can also be found on Archive.org.